Last night I was doing some late night patching with Absynth and I came up with an original patch called “endless chime grains”. I then did an improv using only this patch and built-in Absynth FX and posted it to soundcloud here “Endless Chime Improv (Absynth)". 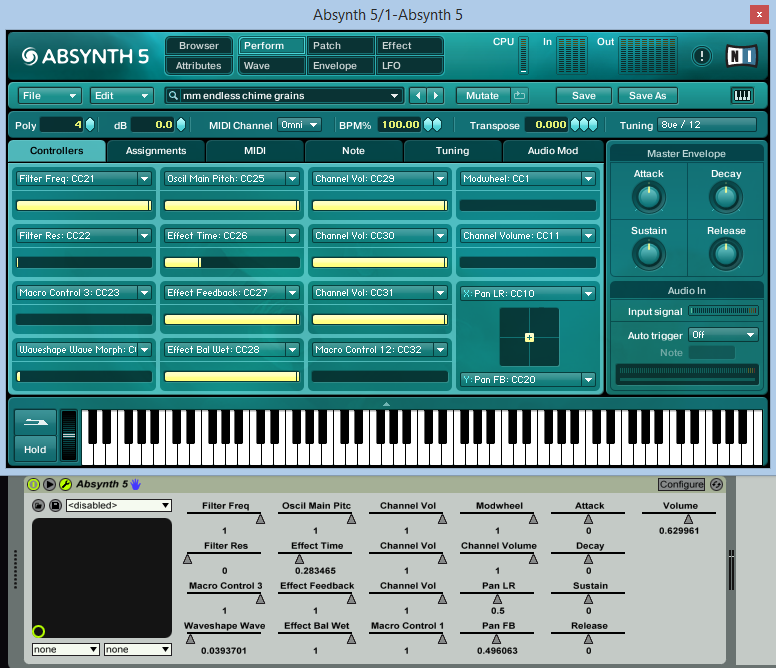 The spectrum view overlaid on Absynth is from Image Line’s Wave Candy. I deconstruct the patch and performance below to show you how even a simple patch/preset in Absynth can be used to create a piece that covers a lot of sonic ground. I use three oscillators with a master filter and the Pipe effect. 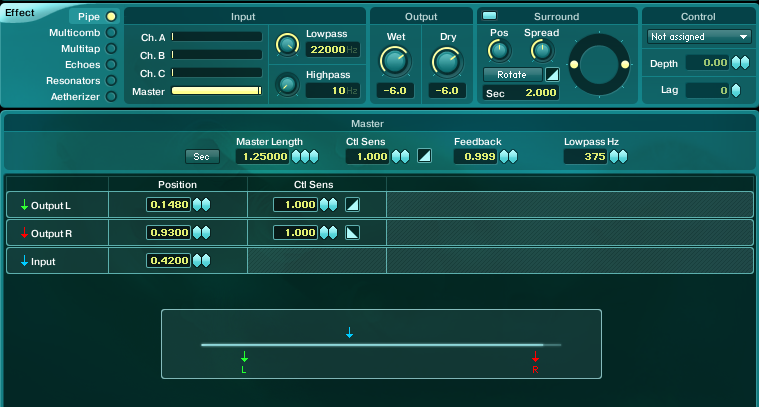 OSC A is in Granular mode using a huge sample that has a breathy quality when you slow down the movement of the playhead. I’ve transpose it up a bit and moved sample start to remove the attack. On the Mod page, you can see that I’ve slowed down the Time% (controls playback speed) turned up density, grain size, and added some randomization of frequency and time thereby smearing the sound. OSC B is a basic sine wave with the OSC set to Double mode making OSC B have two oscillators who’s outputs are mixed together. This double mode offers a Uni (Unison) page where I bump up from 1 voice to 8 voices. I turn Trans up to 9 which controls the amount of detuning between the two voices. I turn up Rand which adds random detuning upwards and downwards in half-tones creating ring modulation. Note there are other ways to add ring modulation to a signal path not used in this patch such as the “Ring Mod” module, and you can even add ring modulation in the feedback of certain filter types. 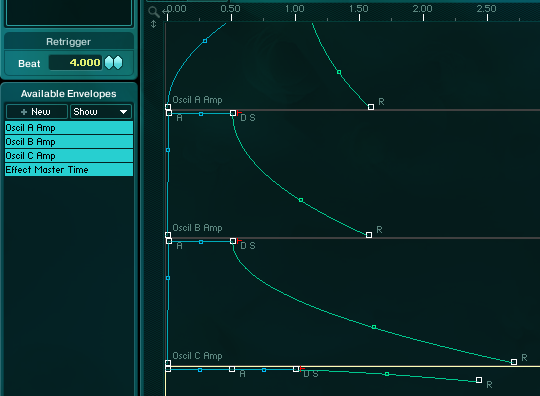 OSC B is a pure sine wave. Each vertical lane is a channel. Here I set the relative volumes of the channels for the default patch without performance tweaks. In the Master Channel I’m using a –12db Low Pass Filter with the Pipe Effect. Even though Absynth supports 64 breakpoints in its envelopes, I only use a few here. Note that I stretch out release times a bit on the Amps. I used the “+New” button to add an envelope for “Effect Master Time” which slows time down for the Pipe Effect after note release which helps to glitch things out in a subtle way. The only effects used in this piece are from the Pipe Effect. It’s such a cool effect and rather than try and explain, I’ll paste in P. 88 from the manual. The effect type Pipe replicates the physical qualities of resonating bodies and resembles a simple waveguide application. Unlike waveguides based on physical modelling, ABSYNTH’s pipe algorithm does not attempt to realistically simulate existing instruments or other natural resonating bodies. It is helpful to imagine Pipe as a kind of string or pipe. Let’s take the image of a string. A loudspeaker (a contact loudspeaker) is connected to a string, which begins to vibrate as a result. You can determine the position of this virtual loudspeaker on the string via the parameter Input Position. Above the string are two pickups, similar to an E-Guitar. The pickups’ positions can be determined through the parameter Output Positions. 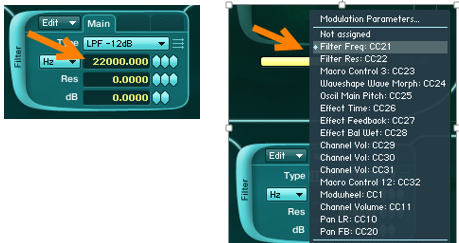 Changing those two parameters can be compared with changing two microphones. You can modulate the string’s length and the pickups’ position through the LFOs or a MIDI Controller. This way, various flanging, pitch-shifting and rotary speaker effects can be achieved. These effects are particularly apparent when the modulation of the pickups are modulated in opposite directions. Consider the following: When one of the Output Positions crosses the Input Position (when loudspeaker and pickup would directly be facing each other) a muffled side tone can be heard. By modulating the parameter called Length, which relates to the string’s length, the crossing values for Length and Input can produce a muffled click. However, it is not a problem to cross the Output Positions. The graphic representation of the effect Pipe shows the current settings of the parameters for Input Position, Output Position and Length, as well as for the adjacent modulations. It should help you to prevent undesired crossovers with the Input Position. An easy way to get going with the Pipe Effect is to load an Effect Template then experiment with settings. I loaded the “Echo Reverb” template which uses pipe. Note that there opportunities to load templates in many areas within Absynth – so click that “Edit” button where you see it and you’ll learn a lot about how Absynth Works :^). I turn feedback way up, and “Lowpass Hz” way down. This makes the extremely long delay and reverb tale less bright and nearly endless. I map Master Filter Frequency to performance parameter 1. A super fast way to do this is to right-click on the parameter you want to map to the performance controller then click on the performance param slot in the list to make the assignment. I repeat this mapping Master Filter Res to Performance Parameter 2. 3 & 4 are not used in this patch. Perform Param #4 modulates OSC A Main Pitch so I can tune the breathy sound in real-time. You’ll see that I mapped the OSC volumes to params 9-11 so I can fade and balance the timbre in real-time. Note that this convention of using OSC A for atonal elements and OSC B & C for tonal elements and dedicating performance params to OSC A pitch and OSC volume is something I just learned by studying the late Tim Conrardy’s sound design work on the absolutely wonderful Starscape Absynth Sound Library.I highly encourage you to get this sound set. It’s like a master class on its own. http://tim-conrardy.last-memories.com/ which was created by my friend Tim Thompson (creator of Space Palette) . I wanted to make special note of another way to add assignments in Absynth. If you click the “Assignment” tab in the “Performance” page , you can click “Add” then select from the list of params available from the patch elements that are active in the preset. I used this method to add “Effect Time”. You can also go back and revise depth and lag settings for any parameter mapped on this page as well as invert the control signal. I turn “Lag” up so that changes to the performance parameter will scale and be less jarring. If you leave lag alone with this template, you’ll get more of a tape delay effect. Lastly, I mapped Effect Feedback and Effect Balance Wet/Dry to performance slots 7 & 8. I recorded the improv in one take inside of Ableton Live. I played notes and modified params in real-time. 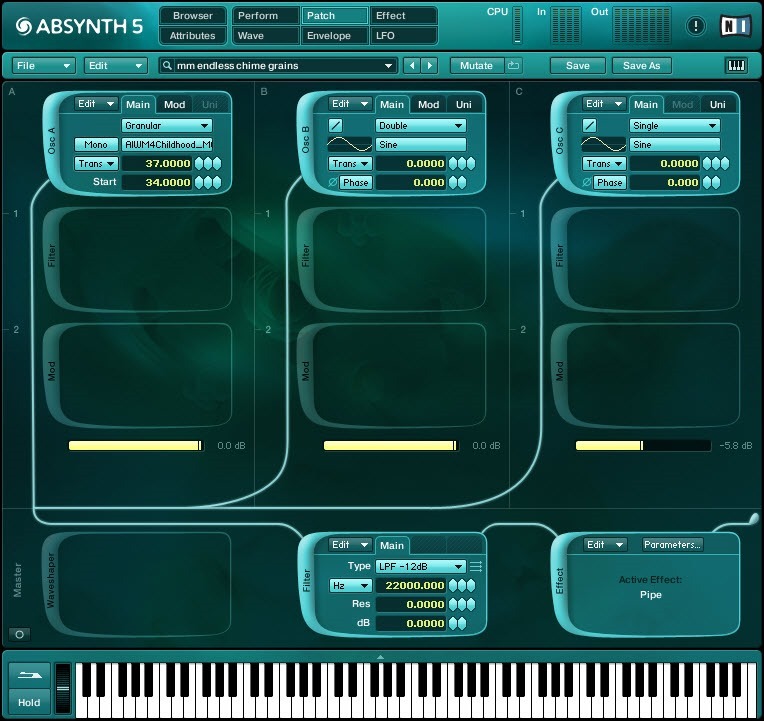 One REALLY great thing about Absynth within Live is that all the performance parameters plus Master Envelope ADSR are automatically exposed without having to go through the device configure process. This is a HUGE time saver. 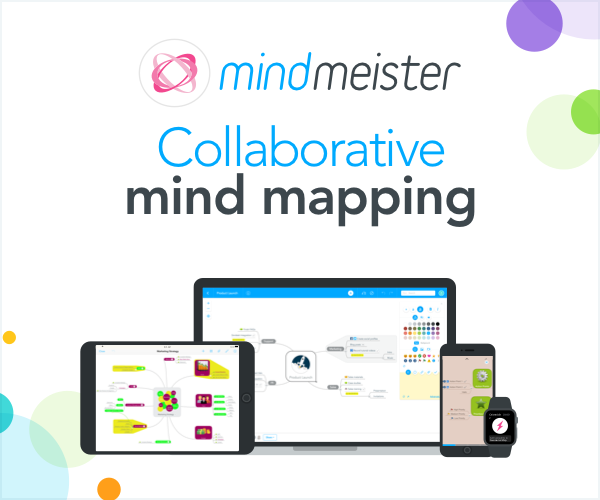 This being the case you can quickly MIDI map to your controller or rack up and create macros. 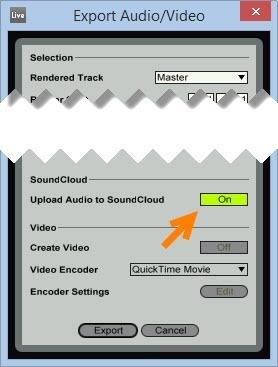 I then rendered the piece and automatically uploaded it to Soundcloud using Live 9’s embedded soundcloud feature..